In 2016, Hot 97’s annual SummerJam concert/festival was nearly canceled thanks to a weekend-long storm, ultimately canceling the station’s Festival Stage show where Chance The Rapper, Dave East and Curren$y — among others — were scheduled to perform. In an effort to avoid another torrential downpour (and to avoid having their event happen on the same weekend as Governors Ball, again), Hot 97 has moved the concert a week later, to June 11th. The station has also revealed the lineup for their Festival Stage (the show before the show): Young M.A, A-Boogie and Don Q, Dave East, Lil Yachty, D.R.A.M., PnB Rock, Casanova, and PHresher. The lineup for the Stadium Stage will be announced April 25th. 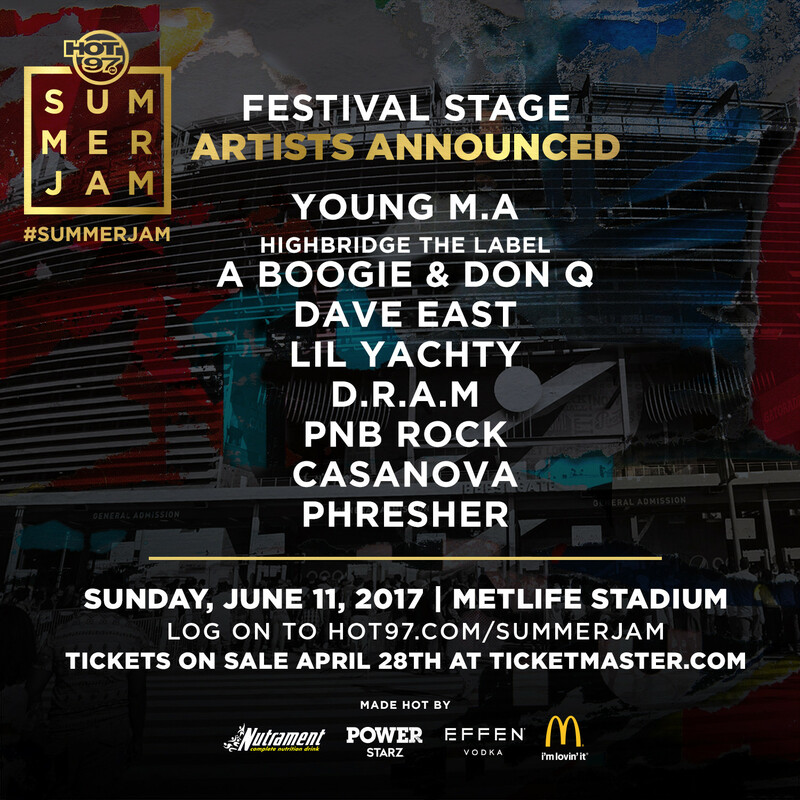 Hot 97’s SummerJam takes place, as always, at MetLife Stadium in East Rutherford, NJ. Tickets go on sale Friday, April 28th.